There are a few indisputable facts this world knows to be true: The earth is round, the sun rises in the east, and candy bars shaped like Easter eggs are far superior to the original candy. Just as candy corn shaped like pumpkins tastes infinitely better than original candy corn, Twix shaped like Easter eggs are more enjoyable than the regular break-apart candy bar. Twix Easter eggs, or, as they’re listed on Wal-Mart’s website, TWIX Easter Caramel Cookie Bar Candy Easter Eggs Centerpiece 5-Ounce Egg, are exactly what they sound like: Twix candy bars in the shape of an enormous egg. They’re an egg-scellent size to prop in the middle of an Easter basket, surrounded by multicolored grass, carrot-shaped Lush bath bombs, and a smattering of jelly beans. The festive spring candy is priced at $3.00 at Wal-Mart and $5.49 at Target according to both websites, and can be found at either location — though they likely won’t stay in stock for long after the holiday. 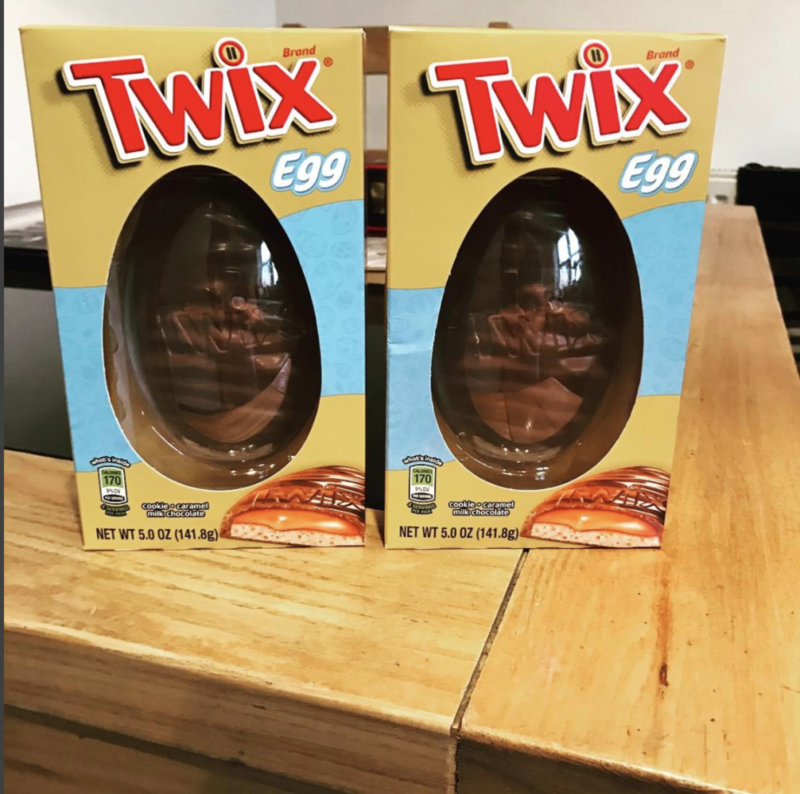 Twix also makes smaller egg candies for the occasion, with individually wrapped 1 oz eggs, though they make less of a statement at one-fifth of the size. Still, the 1 ounce eggs are available in packs of one, two, and six for egg-stra variety. Hoppy Easter to all those celebrating! And, to those who are not, Happy April Fool’s Day/Discount Candy Day.